We are bombarded by weight loss advice from friends, family, magazines, commercials and the guidelines of every fad diet. However, much of the advice we hear is far from healthy. Here is the weight loss advice you should avoid. The concept of eliminating fat often supports the idea that fat is what leads to weight gain. When it comes to weight gain, diets high in empty calories, alcohol and process sugar are typically the culprits. What is important to keep in mind is that fat is a nutrient our body requires, and that not all fat is created equally. The same can be said of calories, carbs, and sugar—of which not all are “bad” and must be consumed as part of a personalized nutrition plan. Fat provides energy and helps your body to absorb vitamins A, D, E, and K. The goal should be to eat a diet low in processed foods, which is high in “bad” trans and saturated fat—and to have a balanced intake of “good” monounsaturated and polyunsaturated fats. Again, understanding that everyone’s fat needs are different. A common mistake made with the intention of replacing the processed foods in our diet is that we can eat as much “healthy” food as we desire. While snacking your way through a baggie of chopped veggies while you work is one thing, your meals need to be a balance of the nutrients your body requires to thrive. In addition, there are many healthy foods that must be eaten in moderation—or they can lead to weight gain. For example, cashews are healthy, but how much you need is unique to you. Whether it’s an extreme diet or the growing trend in daily fasting, any weight loss advice that promotes rapid weight loss is likely to be unhealthy. Most of these plans leave you nutrient deprived, which leads to low energy and irritability. When adopted long-term these diets can be downright dangerous and slow your metabolism in the future. Once the plateau hits, most people do not know what to do so, they return to old eating patterns. Does this sound like you? Absolutely every adult should aim to have at least 30 minutes of physical activity 5 days a week, more if you sit 8 or more hours a day. That being said, fitness is only about 10% of the weight loss equation—with nutrition, stress, environment, sleep, and emotional well-being making up the other 90%. Exercise burns calories and plays a role in boosting your metabolism, but it also builds muscle, boosts energy, increases or maintains flexibility and range of motion, expels toxins from your body, improves circulation, and more. If you haven’t committed to a regular workout schedule, you will certainly notice the 10% difference. There is no one-size-fits-all dietary program that once you find will help you achieve your weight loss goals. If there were, we would all be on it. We must remember that our bodies are unique, which means our nutrition must be personalized. Even with personalized nutrition your nutrient intake will change with age and health and also change as your body composition changes. 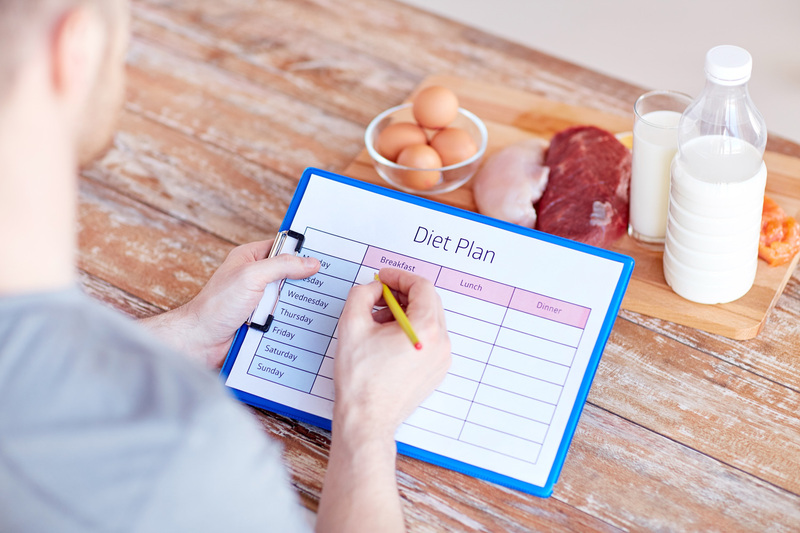 Instead of dieting for deprivation, work with a nutrition expert to create a health-boosting plan instead. Eating for whole-body health leads to natural and gradual weight loss. While gradual, your healthy new habits make keeping the weight off easier than ever before. If you are ready to ditch dieting and adopt a nutrition-based program reach out to the team at PNC today!